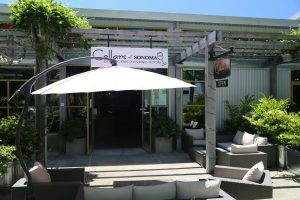 La Sirena was founded in 1994 by winemaker Heidi Barrett. Her first several vintages were of a Sangiovese and the first vintage was not originally meant for Heidi. Rather she was making it for a custom crush client who for a number of reasons eventually abandoned the project and was going to sell the wine in the bulk market. Heidi realized that the quality of this particular wine was to good for the bulk market, decided to purchase it – and then quickly secured all the necessary wine permits as the wine was ready to bottle. Heidi has grown up in the wine industry – working in vineyards and in wineries from a young age. She had a very good mentor early on; her father Dr. Richard Peterson is an accomplished winemaker, scientist and vineyard experimenter. Immediately after graduating UC Davis in 1980 with a B.S. degree in Fermentation Science she went to work for Justin Meyer at Franciscan Vineyards and Silver Oak Cellars. By age 25 she was the winemaker at Buehler Vineyards (a well established winery located in the hills East of the valley floor). 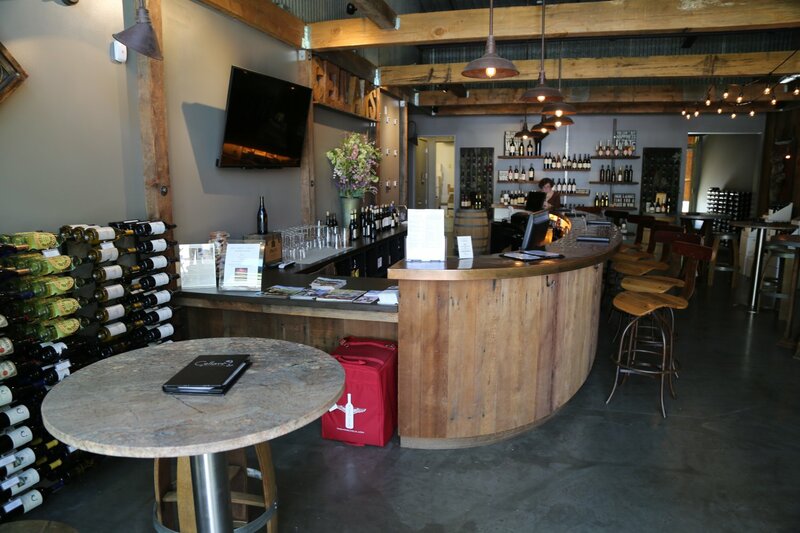 By 1988 she decided to become an independent winemaker and offer her consulting services. By the mid 1990’s her wine making abilities and knowledge were much in demand. Today she continues to selectively make wine and consult for a select group of clients. Heidi has worked over 30 harvests in the Napa Valley. The face of the image of the mermaid on the label of La Sirena is actually a profile of Heidi’s own likeness. She and Bo were looking through playing cards of the Mexican card game Lotteria when they spotted the “mermaid” card. La Sirena means mermaid in both Italian and Spanish – and based on Heidi’s love for the ocean and SCUBA diving – they decided this would be the perfect image to represent their wines. There is the science and art of putting these wines together – Bo likes to compare Heidi’s creativity and talent to a painter who works with a variety of paints and brushes (and yes Heidi does paint) and his own craft as having and knowing how to use specific tools in a “toolbox” to manage the vineyards. The Moscato Azul is so fragrant and perhaps unlike other varietals that lose their aromatics the colder they are served, this wine remarkably continues to aromatically produce even when it is kept quite cold. As a result, this wine should be well chilled and as Heidi says, “I prefer this wine colder“. Muscat Canelli is a varietal that is often associated with being sweet. However, this is a dry wine with the amount of residual sugar left so small it is imperceptible on the palate. The fruit for these grapes come from Calistoga. For several vintages Heidi had to in part source the grapes from Central California – but moving forward this wine will be entirely from their Calistoga vineyard source. This wine is fermented very slowly – all in stainless steel. 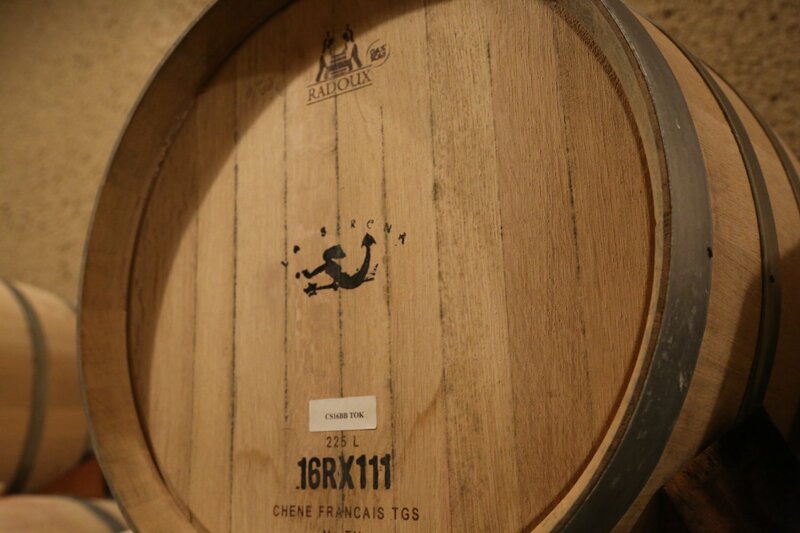 It is quick to market – often released only 4-5 months after bottling. The 2013 Moscato Azul aromatically shows fresh, lively and floral aromas that quickly envelope the glass and beyond after is poured. Floral and tropical aromas show including honeysuckle. It is a wine that just smells pretty! On the palate it shows a surprising rounded mouth feel and slight viscosity on the finish (considering how it was fermented and aged). Notes of citrus and some mineralities show mid palate through to the finish. 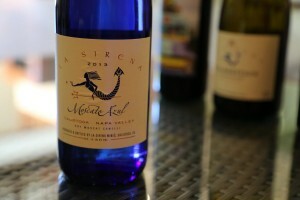 This is a wine that certainly stands out on the shelf and is instantly recognizable due to its blue bottle color. When one becomes familiar with the La Sirena wines – one soon realizes that each wine has its own inherent character, but also it’s own accompanying story; and the labeling on each wine is representative of this. Take for instance the wine named “Pirate TreasuRed”. This has certainly earned a solid following among Heidi’s fans and is now her most produced wine under the La Sirena brand. The bottle might lead one to believe this is a Port-styled wine but in actuality it is a dry wine composed of seven different varietals. This is a wine she did not set out to make – while making a red wine she reviewed her notes based on the blends that tasted the best. Surprisingly she saw seven varietals listed. Tying this into a name, she thought about the Seven Seas, the Pirates of the Caribbean and her own diving trips which invariably involve a costumed pirate party. Thus the name, The Pirate was born; her creativity on the packaging ties in well with the name. 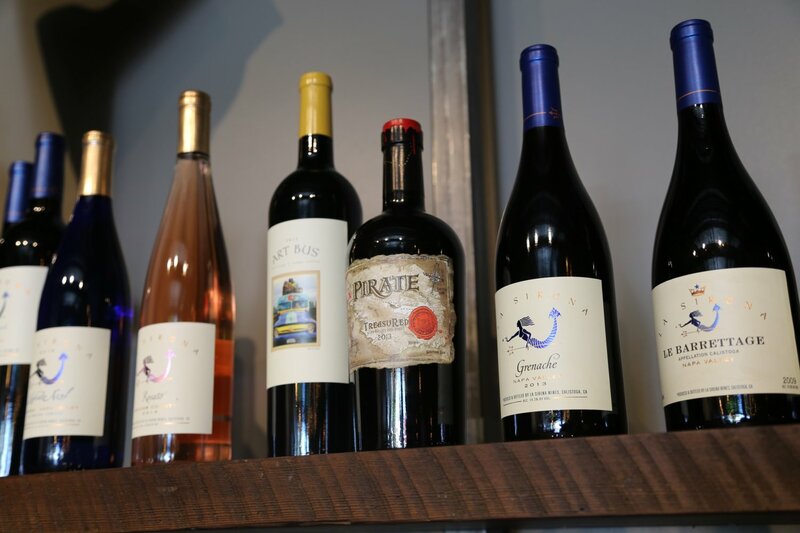 She and her daughter wrote a Pirate themed verse for the back lable – which in the spirit of this wine involves some salty pirate language. The front label depicts a historical map of Napa County shown as an island with X “marking the spot” of their home vineyard. This wine is a blend of varietals you just won’t see in other wines! It contains Syrah, Cabernet Sauvignon, Merlot, Grenache, Petit Verdot, Cabernet Franc, and Petite Sirah. The 2011 vintage shows a big nose full of black fruit, is dusty, almost earthy with black licorice and blackberry. 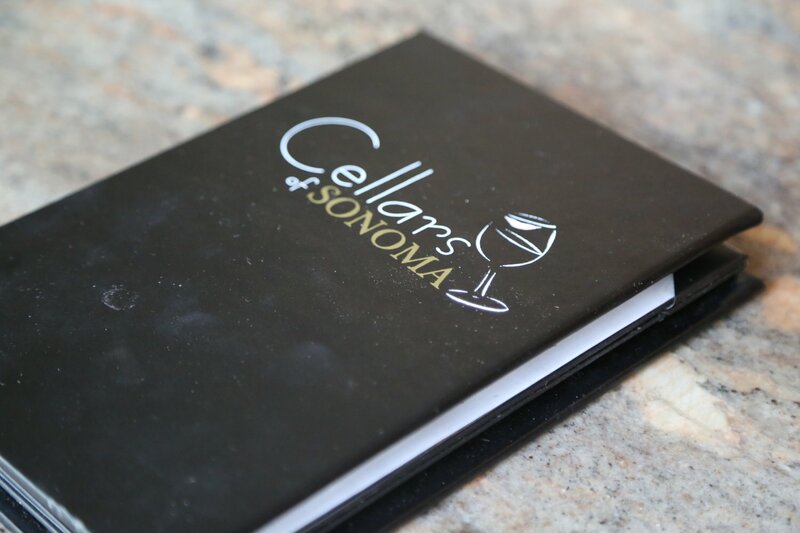 The wine is lively on the palate with complexity of flavor – and good acidity. If you buy this in a 6-pack the wine comes in a “treasure chest” – a cardboard box packaged to look like a treasure chest. It is a well made wine decorated by playful and very distinctive packaging. The Art Bus Red wine certainly has some interesting origins. One morning Heidi noticed an old “hippy bus” that had been abandoned in the Solari Vineyard in Calistoga (a vineyard she purchases fruit from). She called the owners and they were immediately apologetic to have such an eyesore show up in a beautiful vineyard. They were surprised when Heidi asked if she could take the bus – which she then towed over to her own property. It reminded her of some of the old buses from the United States that had found second life as school buses or for public transportation in a number of Central American countries. The image for this wine is the front of this bus with Heidi peering through the window on the driver’s side. This wine was made in 2008 and 2009 and will be reintroduced to the market with several newer vintages starting in 2012. This wine is 80% Syrah. The 2009 vintage shows lively aromas with both red and black fruit and a meaty component – with just hints of white pepper. The palate is juicy, mouth watering and big. Broad tannins anchor a long finish. 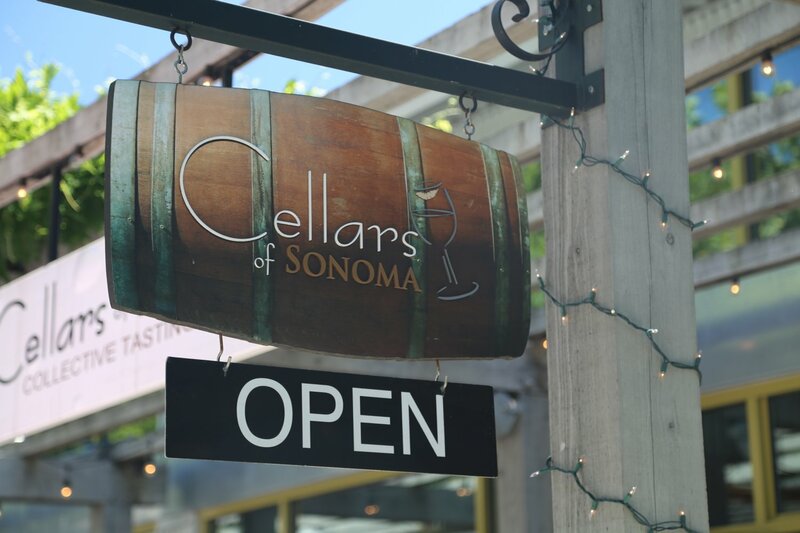 15% of all proceeds from the sale of any vintages of this wine are donated to Heifer International, a charity organization working to fight poverty and hunger worldwide. 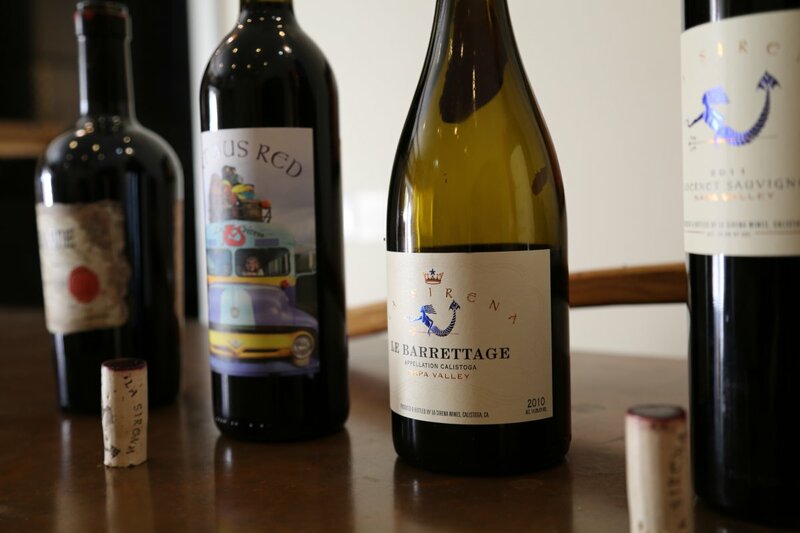 Le Barrettage is a wine creatively named after Heidi had an inspiration in the car while driving to Lake Tahoe for a ski trip. She has long enjoyed some of the Rhone wines from L’Hermitage but did not want to simply call this wine a Syrah. Rather she borrowed a bit of French, her last name, the image of a crown (common in labels from this part of France) and an old world design to come up with a catchy label and name. The 2012 vintage is a dark in the glass – it is a big wine and chewy with a robust structure that lasts for sometime on the palate. The bouquet shows an eclectic mix of aromas including black olive, forest floor, white pepper and meaty components. The fruit on the palate is decidedly black in nature with rich mouth filling flavors. The 2011 Cabernet Sauvignon is mostly sourced from the Barrett & Barrett Estate on the rocky Eastern hills north of Calistoga. The bouquet is dusty and smoky with hints of sage and mocha. As the wine breathes the bouquet becomes more and more about the fruit. If there was a quintessential Napa Cabernet bouquet that hooks people to wine, and specifically this varietal, from this region, this is it. The tannins are well integrated with the fruit; this wine drinks very well young but has good acidity and structure for aging. 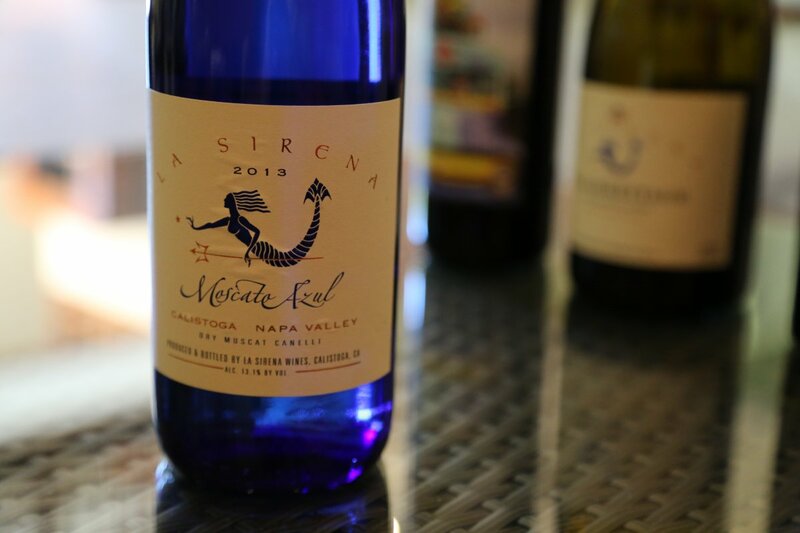 Refreshingly there is no wine club or allocation for the La Sirena wines. 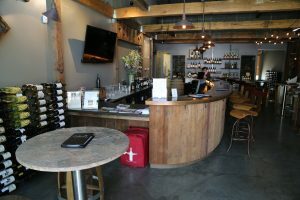 The wine is available as a three-pack, six-pack or in magnum format – when the wines are released, they are available on a first come, first serve basis. Usually production is in the range of 300 cases. 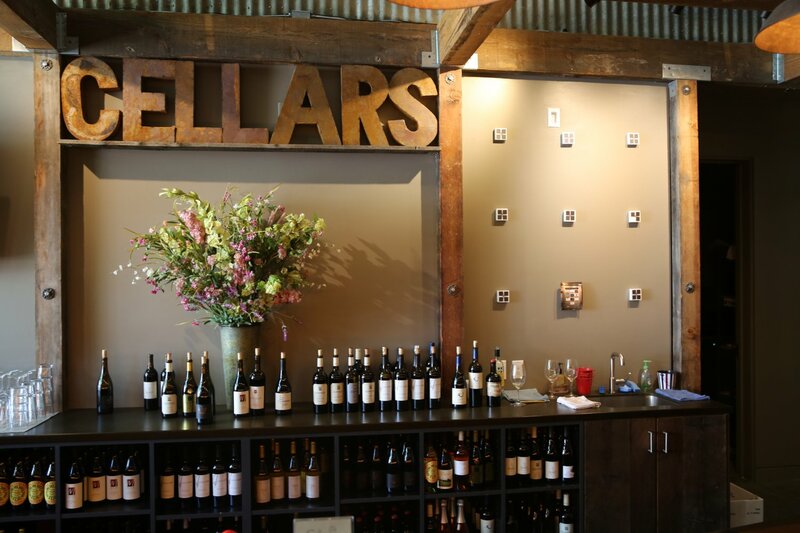 For visitors to the Napa Valley, tastings are by appointment at one of several winery’s that Heidi makes wine at.